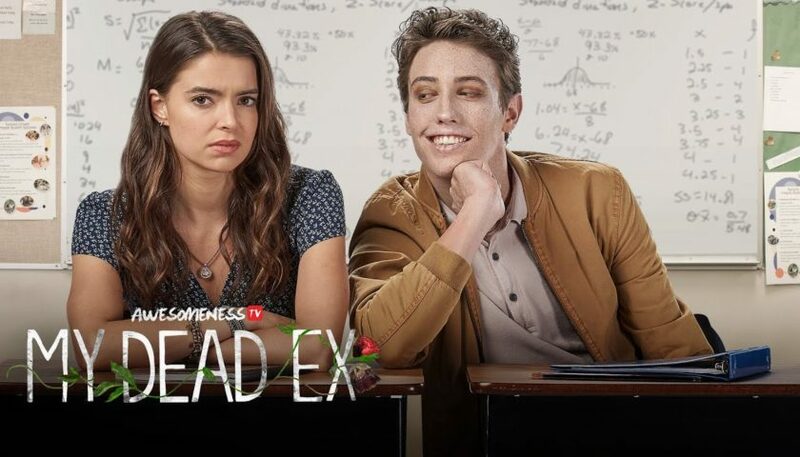 Review: Described as your classic, will-they-won’t-they romance story, My Dead Excenters around Charley who is living a typical teenage girl’s life. Ben, Charley’s not so secret admirer, isn’t living at all. But a little thing like death can’t stop these two teens from falling in love. Or maybe it can. Katherine Hughes (Me, Earl, and the Dying Girl) stars as Charley and Ryan Lee(Goosebumps) as Ben. Rounding out the cast is Medalion Rahimi (Still Star-Crossed) as Wren, Charley’s best friend; Ryan Malaty (#RealityHigh) as Luke, Charley’s love interest; Alexa Losey as Bethany, Wren’s love interest; Beth Littleford (Dog with a Blog) as Charley’s mom Laurel; Audrey Wasilewski (Mad Men) as Ben’s mom Mary; Marc Evan Jackson as Vice Principal Kelly; Matt Braunger (Agent Carter) as Officer Maloof; Sal Lopez (El Chicano) as Wallace the janitor; Todd Weeks (The Menendez Murders) as Ben’s dad Bob; Isabella Kai Rice (Unforgettable) as 10-year-old Charley, and Ryan Alessi (Virtual Boys) as 10-year-old Ben.